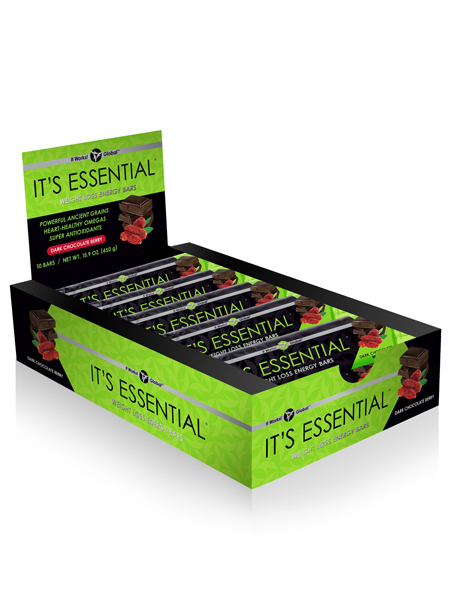 It’s Essential is an all natural weight loss energy bar with whole ingredients. A “feel good” bar that keeps you feeling full and gives you energy for a long period of time. It’s Essential will help you go from meal to meal without the overeating! There right nutrition to help your body put itself back in balance so that it can release any extra weight naturally. Fiber to keep your blood sugar level when trying to lose or maintain weight.